Congratulations to our winners from the 2019 Enchanted Travel Destination Wedding Seminar! Home > Destination Weddings > Congratulations to our winners from the 2019 Enchanted Travel Destination Wedding Seminar! 14 Feb Congratulations to our winners from the 2019 Enchanted Travel Destination Wedding Seminar! 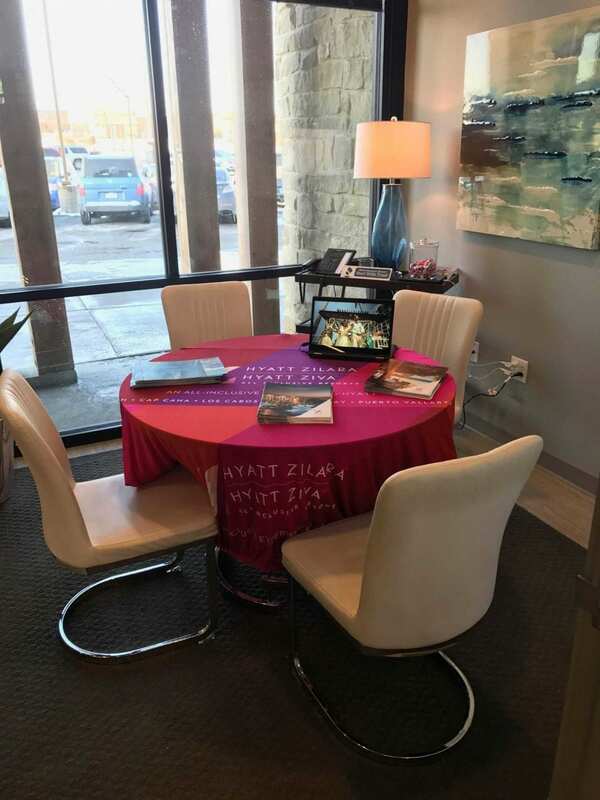 This past Tuesday, February 12, we held our 2019 Enchanted Travel Destination Wedding Seminar. 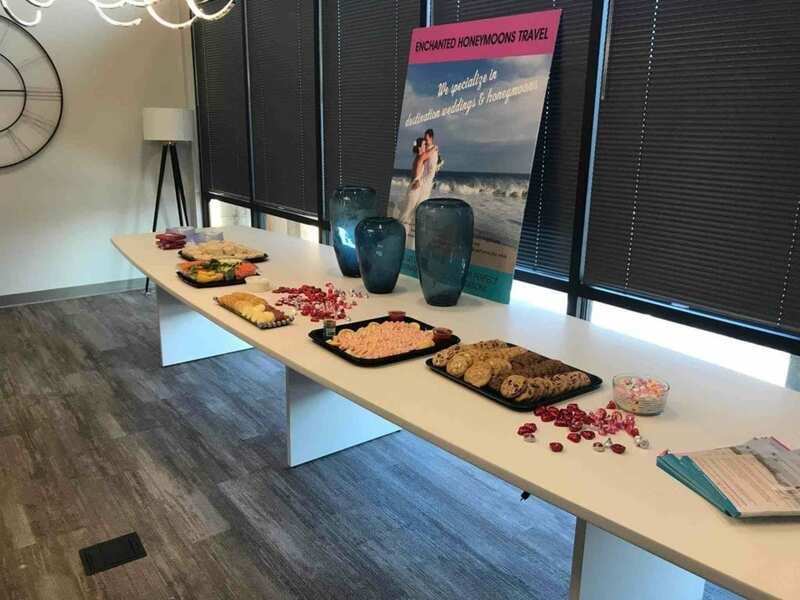 It was a huge success thanks to everyone who attended and all of our destination wedding industry partners! This year, we partnered with Hard Rock Hotels & Resorts, Palace Resorts, Delta Vacations, Funjet Vacations, Sandals Resorts and Playa Resorts. 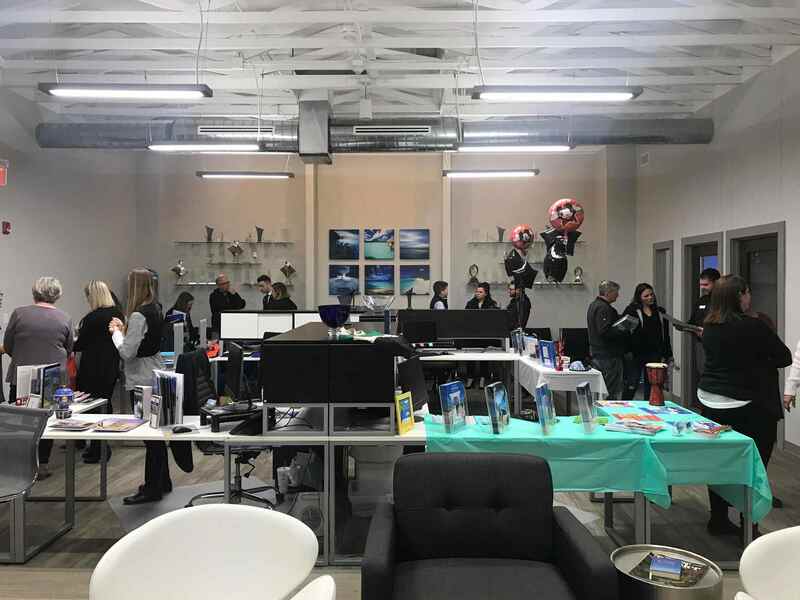 Many of the couples in attendance won some amazing prizes and everyone who attended left with plenty of helpful information to start the planning process for their dream destination wedding. Read on below for all of our winners and more details on this exciting event. Our grand prize this year was $3,000 towards a destination wedding package with AIC Hotel Group, which encompasses Hard Rock Hotels & Resorts, UNICO 20˚87˚ Riviera Maya, Nobu Hotels and Eden Roc in Miami Beach. The winner of this stellar prize was Sara Spillane. She will be planning her 2019 or 2020 destination wedding with us this year! We partner with AIC Hotel Group for tons of weddings every year. We love the ease and customization that comes with every AIC destination wedding. Another lucky couple won 3 nights with Palace Resorts. Mary Weis was the winner of this prize. She gets to choose whether to spend 3 nights at Moon Palace Cancun or Moon Palace Jamaica. Both options are great resorts for a honeymoon or vacation, in addition to an ideal destination wedding setting. We can’t wait to help Mary plan her trip! Palace Resorts is another group that we partner with for hundreds of vacations, honeymoons and destination weddings each year. We have worked with Palace for several years to provide our clients with personalized weddings in some of the most beautiful destinations in the world. Read our recent blog post on our favorite Palace Resorts for destination weddings here: Everything You Need to Know about Palace Resorts Destination Weddings. Stay tuned for a blog post coming soon that will detail everything to know about Moon Palace Cancun and Moon Palace Jamaica. In addition, you can take this helpful quiz to find out which dreamy Palace Resort matches your bridal style. Maggie Jensen was the lucky winner of $500 towards Delta Vacations flights. Delta has an extensive list of great destinations and we can’t wait to see where she goes! 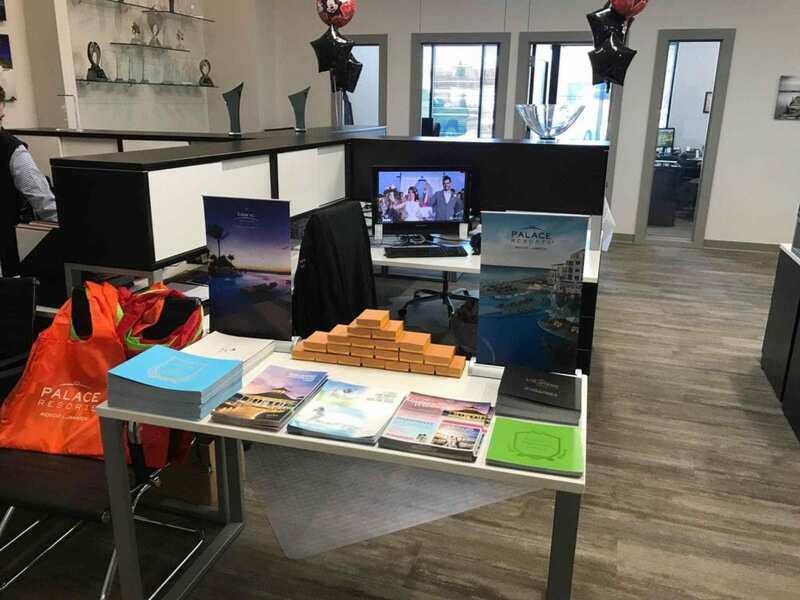 We also had giveaway items from our partners at Sandals Resorts, Playa Resorts and Funjet Vacations. David & Louise Weber took home a gift bag full of tons of Sandals Resorts swag, David Holland took home a delicious bottle of authentic Jamaican rum from Playa Resorts, Michelle Elkin took home a bottle of champagne, and Faith Furrow won the Funjet Vacations gift bag which included tons of swag and United drink tickets. Follow us on Instagram and Facebook to get all of the details on upcoming events like our 2019 Enchanted Travel Destination Wedding Seminar. The night was a huge success so we plan to do more like it in the future. And of course we will have more amazing prizes from our destination wedding experts! Call us today at 402-390-9291 in order to talk to one of our destination wedding specialists or get started here.